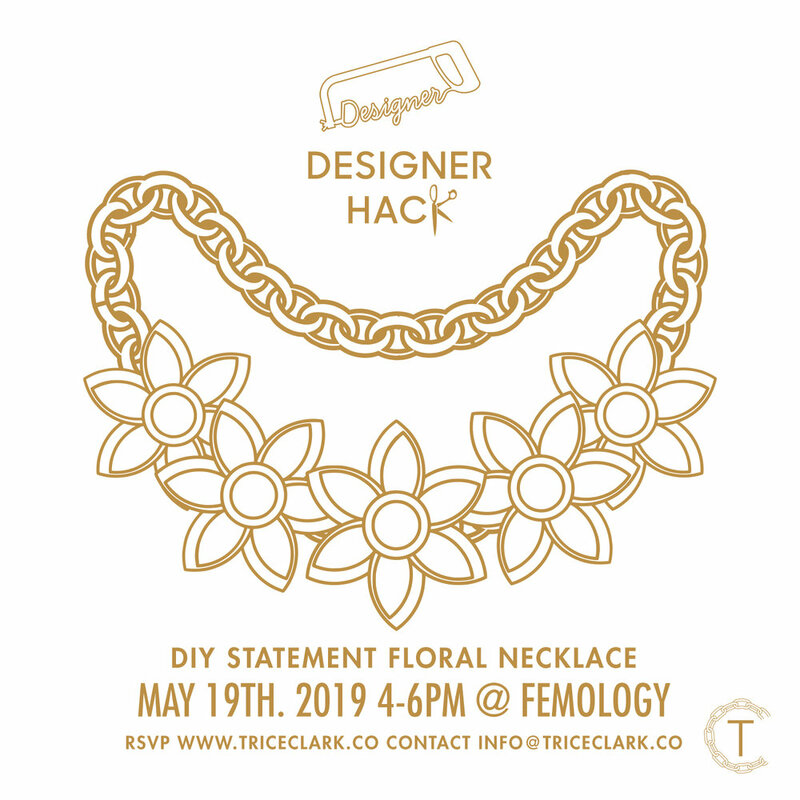 Springing forward into the next Designer Hack April 7th with diy floral statement earrings inspired by hoops from Oscar De La Renta’s Spring/Summer collection. At the Designer Hack March 10th we will be making hand printed decorative pillows for your home. Come learn sewing basic sewing skills and stamping techniques. 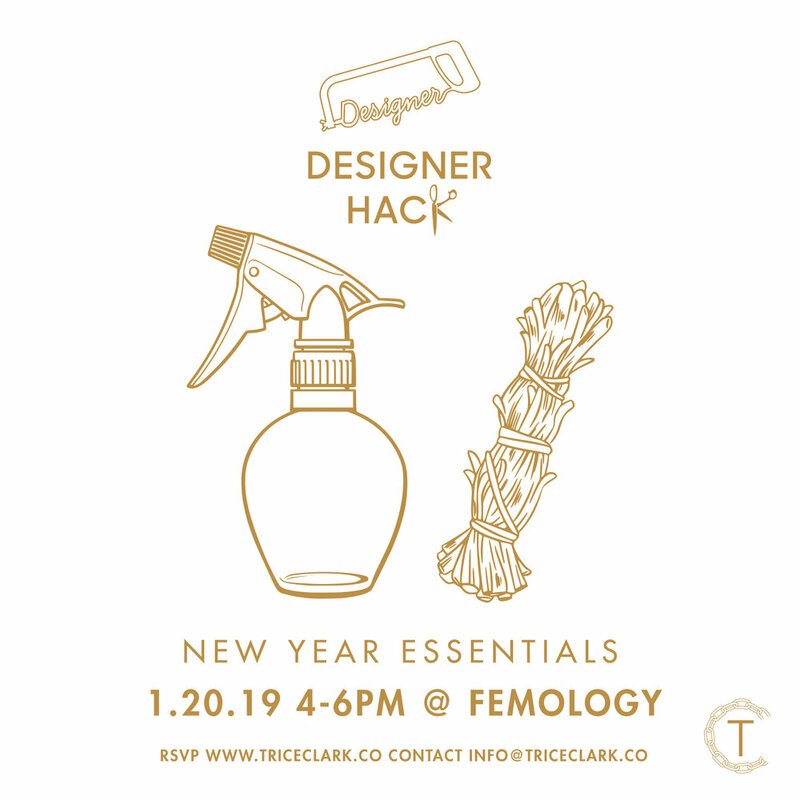 Join us for our February Designer Hack at Femology! 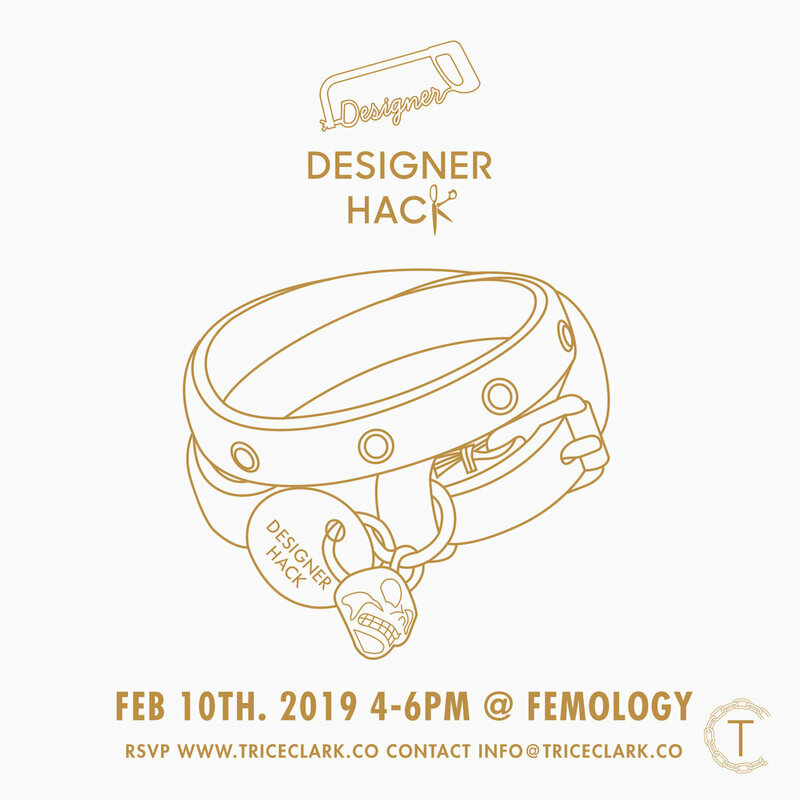 Trice will be showing Hackers how to create DIY versions of Alexander McQueen & Gucci wrap bracelets that retail for $200+. Personalize your charm with a loved ones name for Valentine’s Day! For our first event of the year we are creating "New Year Essentials" to help you bring good energy into your space. What better way to do this than by creating lavender linen spray to help you get a good night’s rest and a mixed sage bundle for a clear atmosphere and extra aroma. Detroit Riot and I are coming together for The Refresh. We will be teaching you how to update your vintage jewelry and give it new life. Sunday, November 18th I am officially launching my backdrop business and celebrating my birthday with a mini exhibition. Designer Hack is taking on our first in class home decor project October 19th at Xenophora's showroom. Wall hangings are a trend that's everywhere and can get pretty costly. Join us as Trice Clark walks us through making your own wall hangings, teaching fabric manipulation and embroidery. September is the biggest month in fashion worldwide. From New York Fashion week to every magazine releasing their largest editorials,inspiration is everywhere! Of course we have to make the latest trends our own with a Designer Hack to save our coins vs splurging at the big name stores. 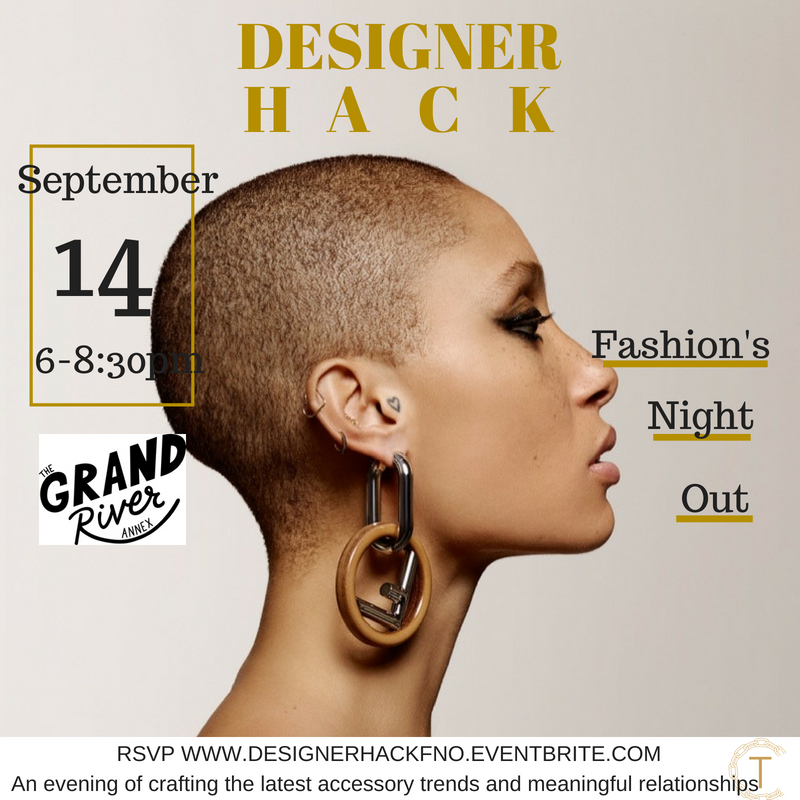 September 14th 6:00-8:30pm Trice Clark will host a do it yourself workshop showing attendees how to recreate statement earrings inspired by Fendi's 2018-19 Fall/Winter collection.